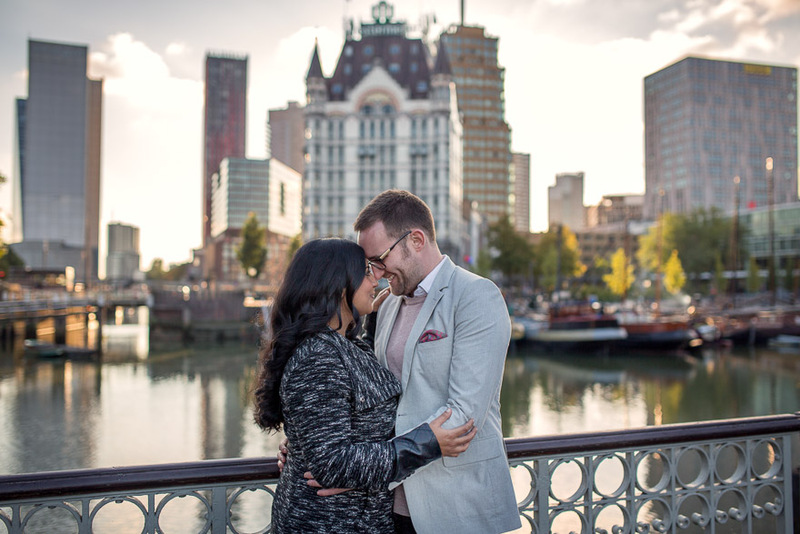 Andy and Leonie live in Rotterdam, the Netherlands, however they are originally from the UK. 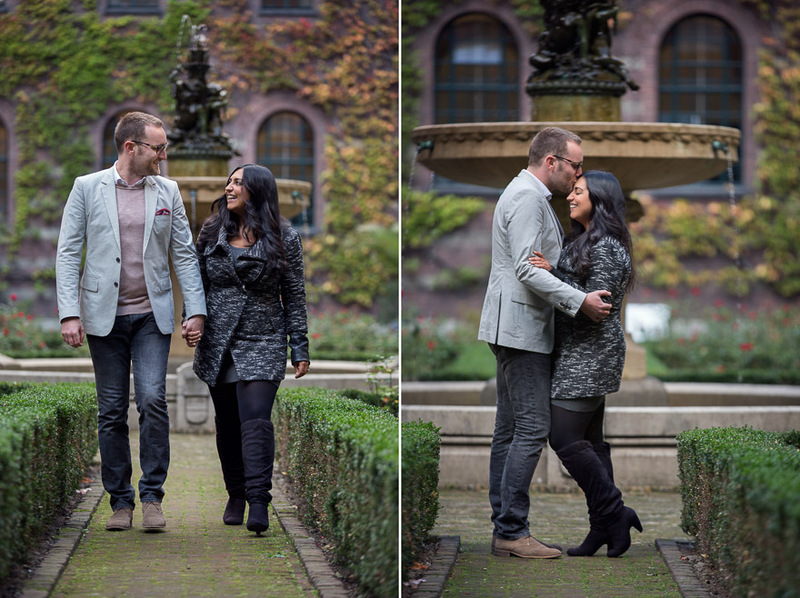 While Leonie is from Northern England, Andy is Scottish. 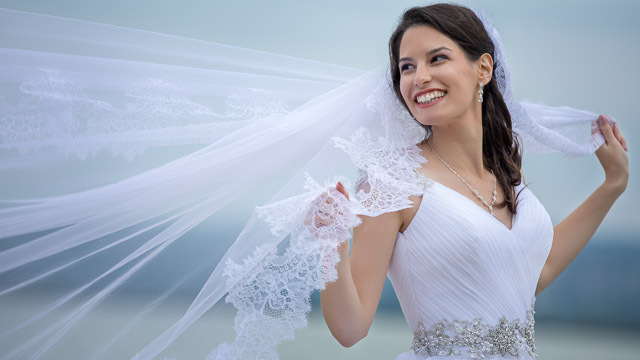 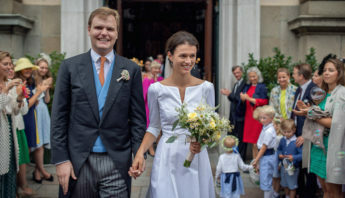 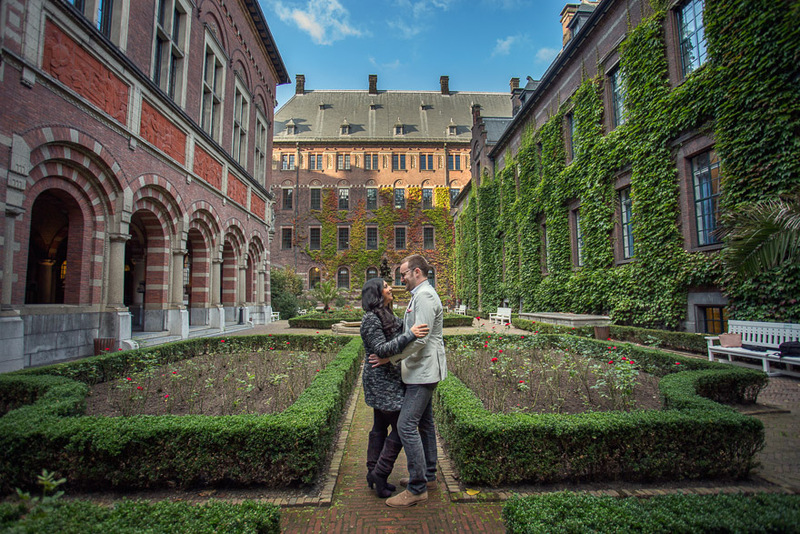 They relocated a few years ago to the Netherlands, as they got better job opportunities in Holland. 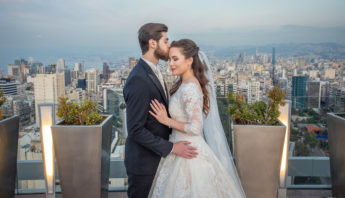 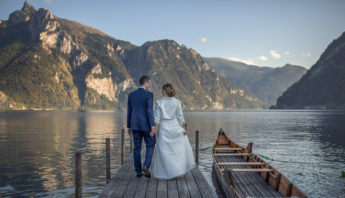 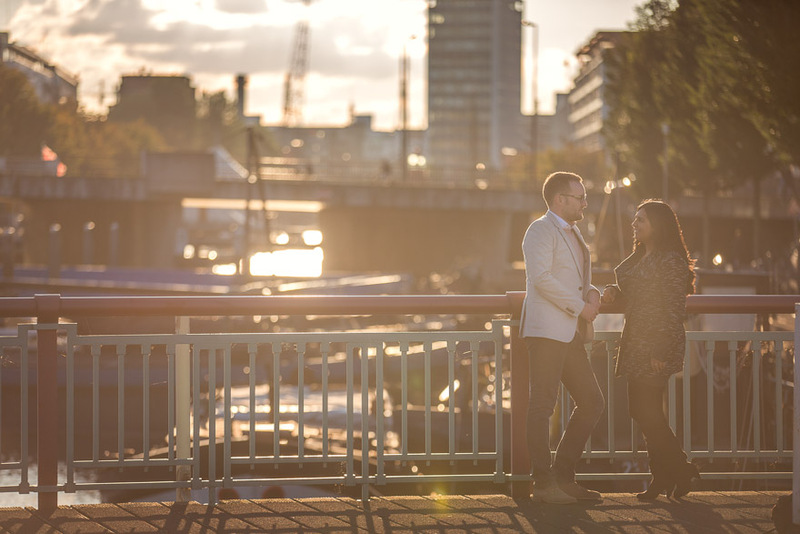 Since they hired me to photograph their wedding next year in Loutsa, Greece, we thought it would be also great to meet beforehand and have an engagement shoot in Rotterdam. 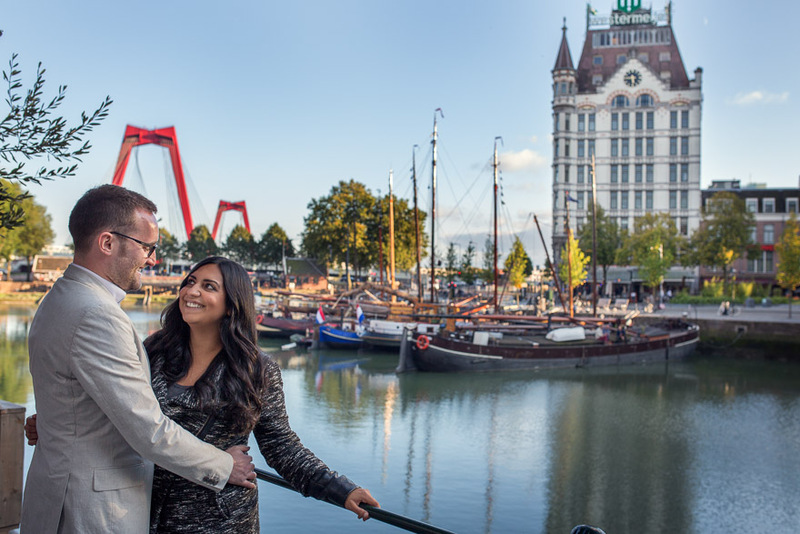 I was excited to fly to Rotterdam as the city is renowned for its maritime heritage and it has the largest cargo port in Europe. 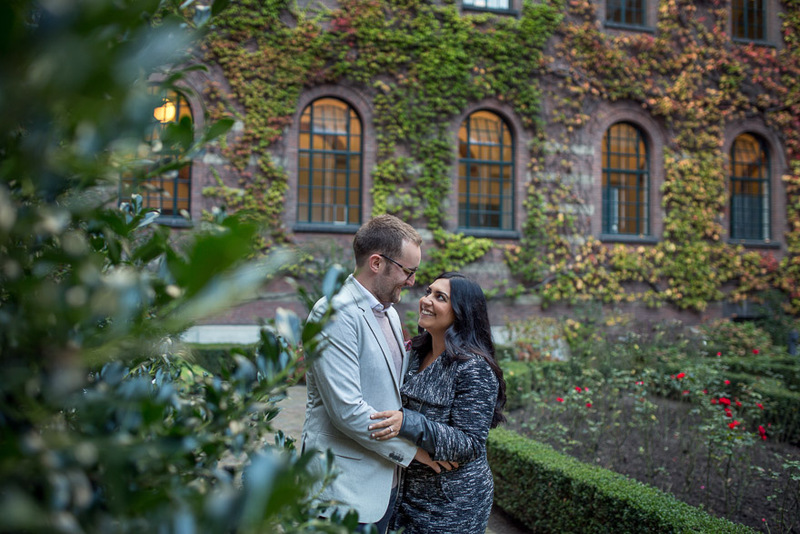 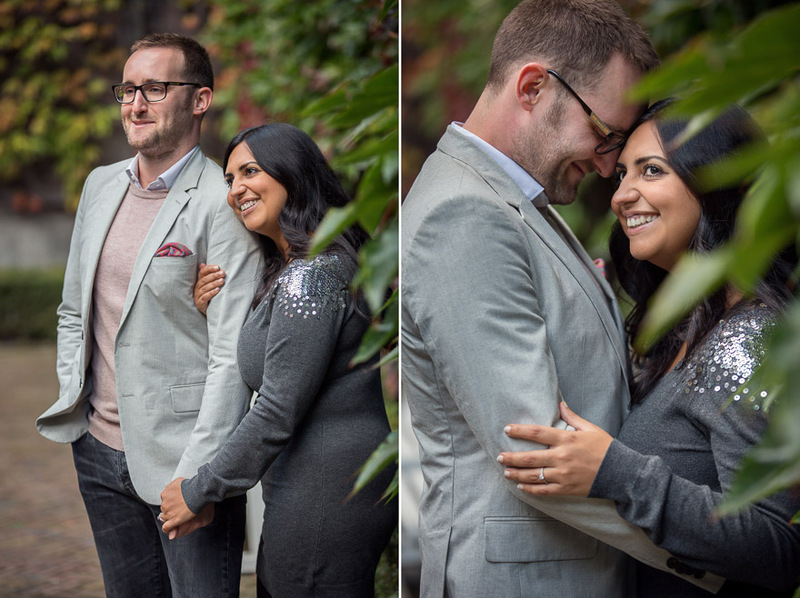 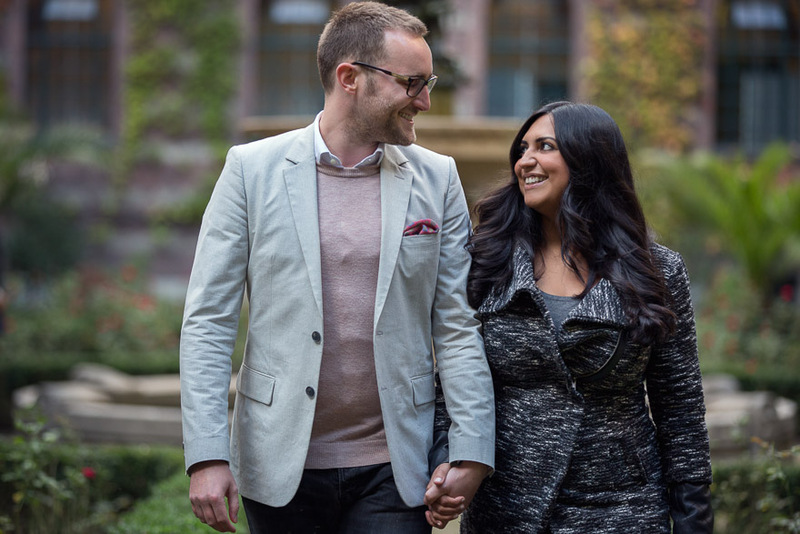 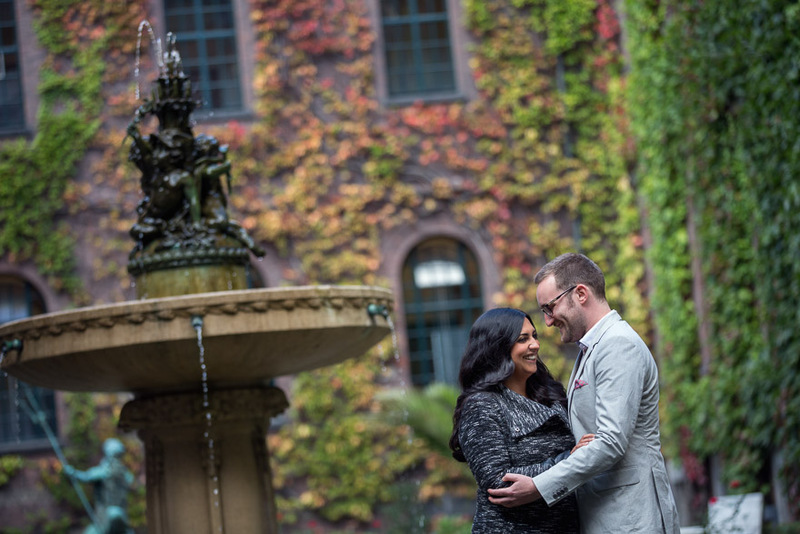 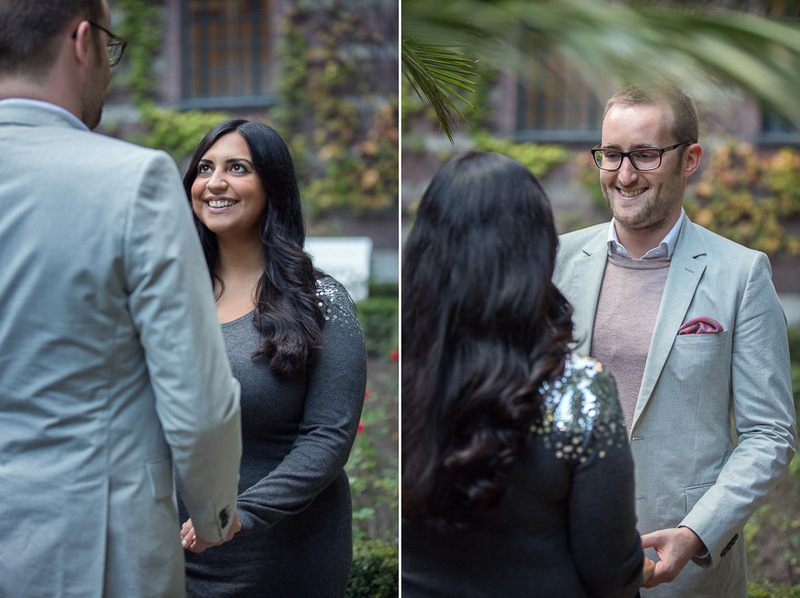 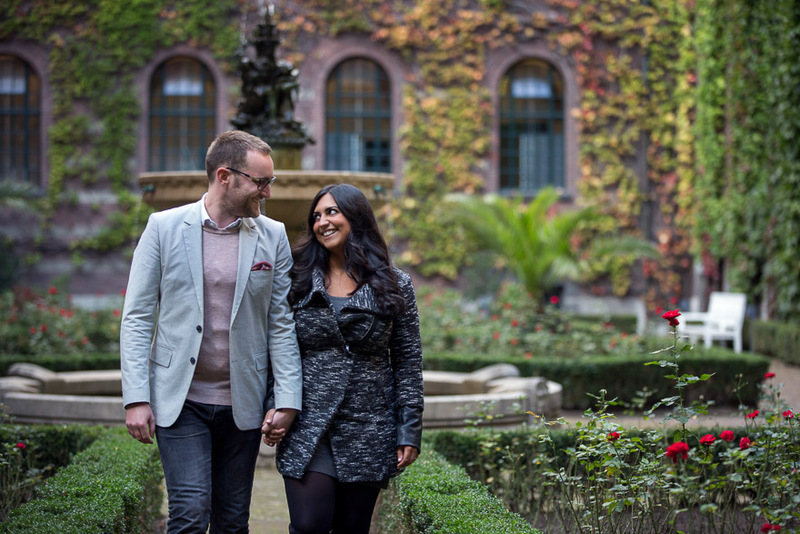 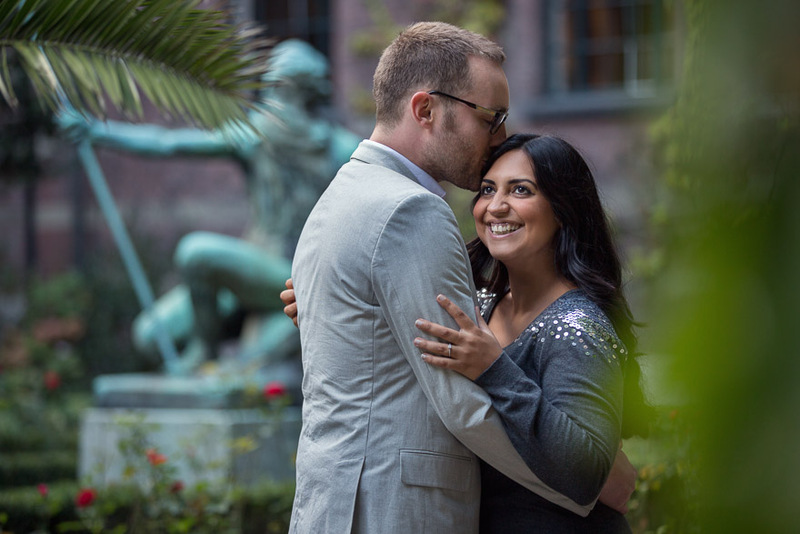 We started the engagement session in the courtyard of Stadhuis (City Hall of Rotterdam), where actual weddings are held, too. 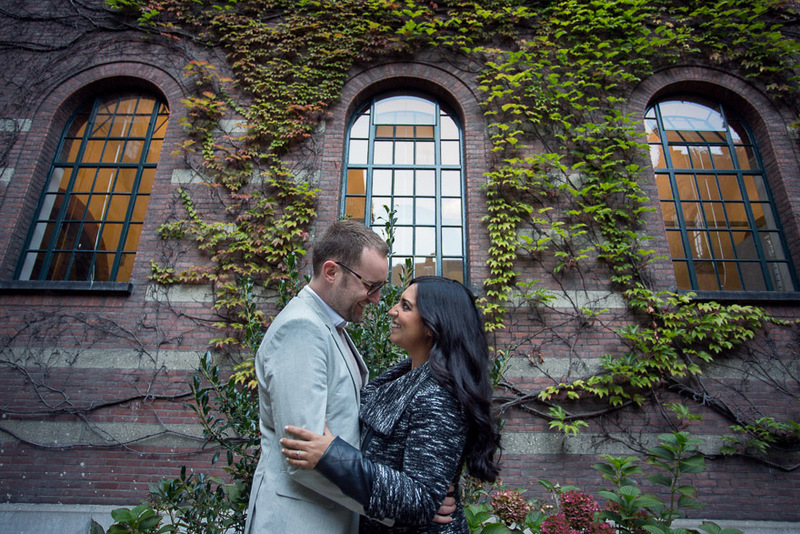 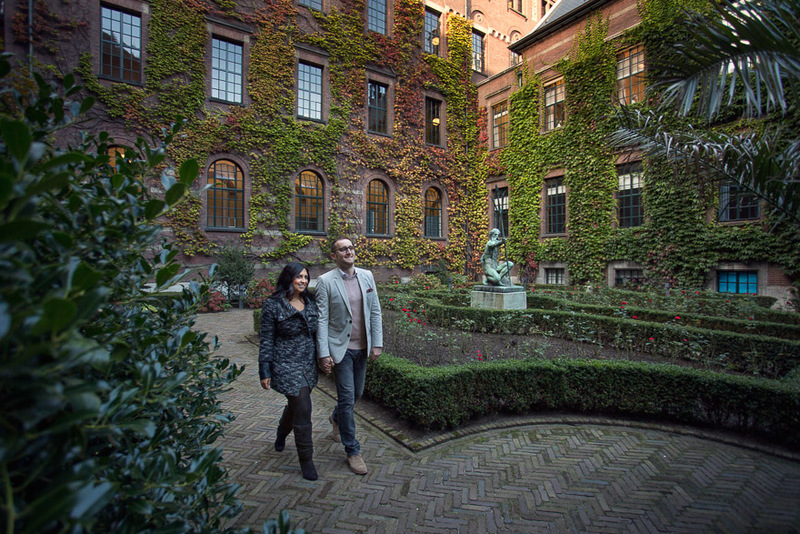 The courtyard was beautiful, the old building’s walls looked like we are visiting an Ivy League university. 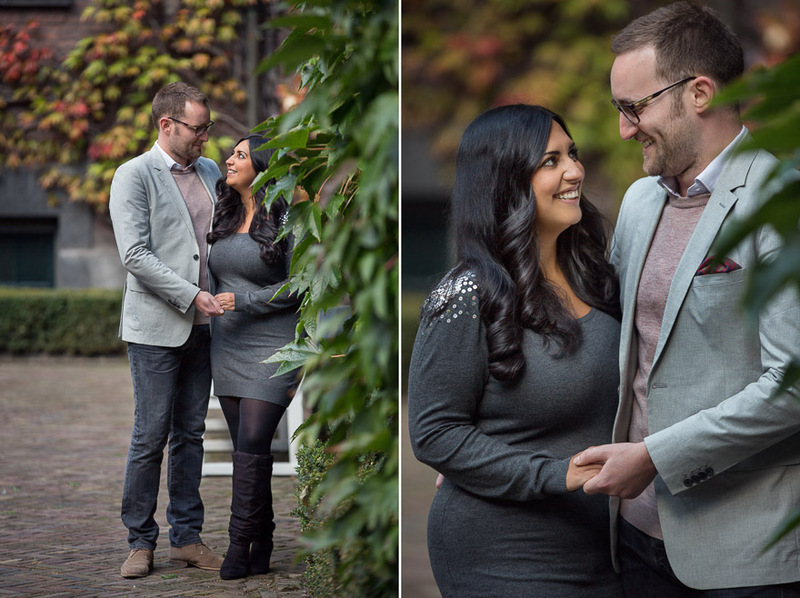 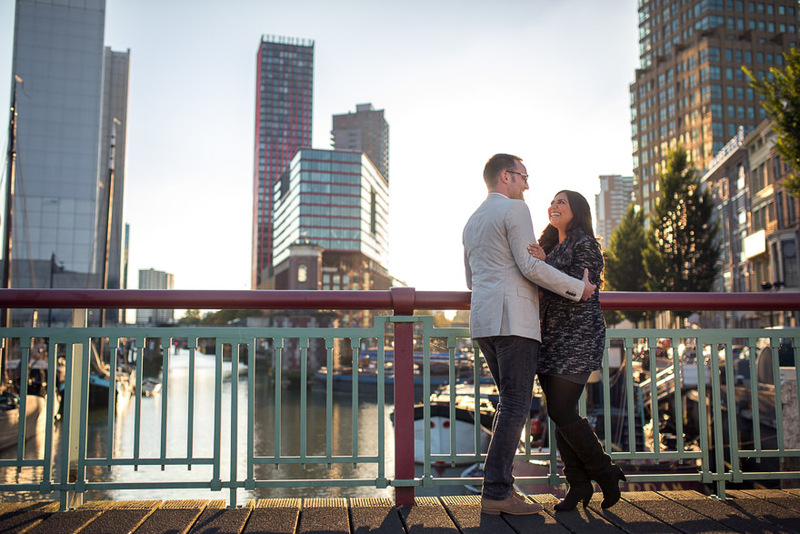 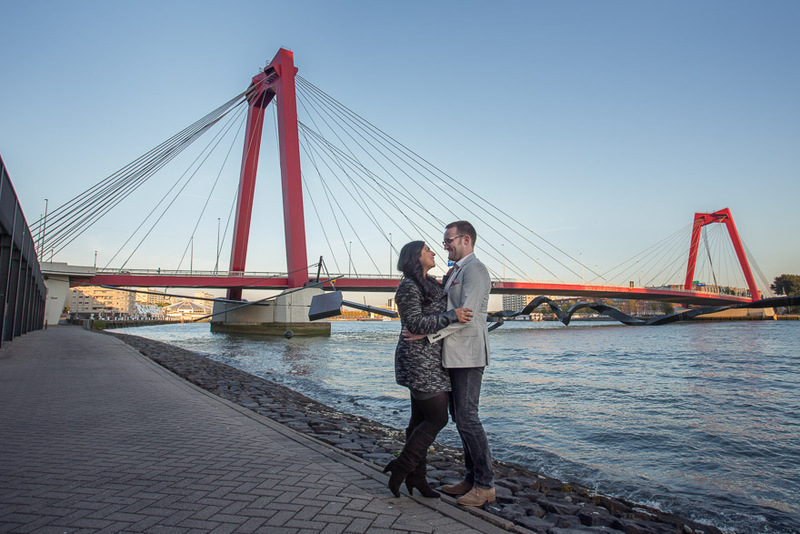 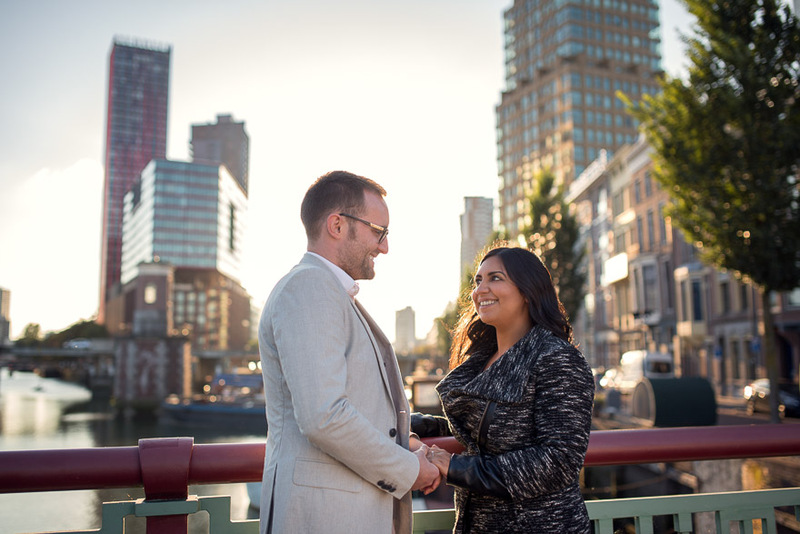 Later we moved to Oude Haven, the Old Harbour of Rotterdam to take more engagement photos before sunset. 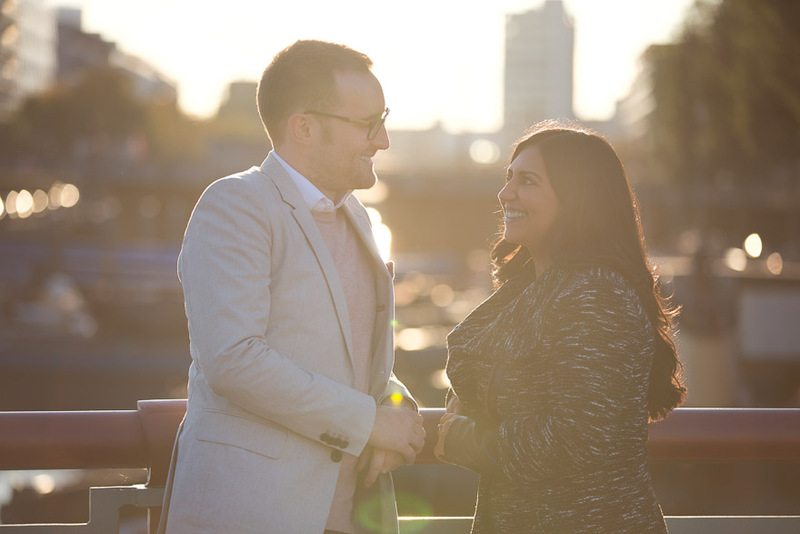 We successfully finished the photo session at the Williamsburg Bridge, fortunately the weather was gracious to us all along. 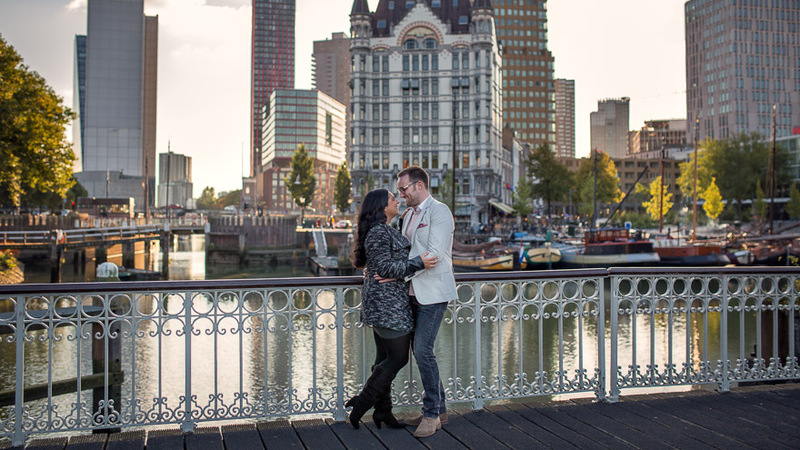 It got cold, we finished the day on the terrace of a café in Oude Haven, while chatting and sipping hot tea and coffee.